Solskogen is a Norwegian demo party check out their site solskogen.demoscene.no I competed with to entries one in Oldschool graphics 8bit graphic combo and Newschool graphics. But a month i beforehand i started thinking about what to make for the tournament. I wanted to experiment with this new drawing technique that i came to learn. The main Idea is to separate color and lighting stagesinto separate processes. The i knew how to make it but not what to make. 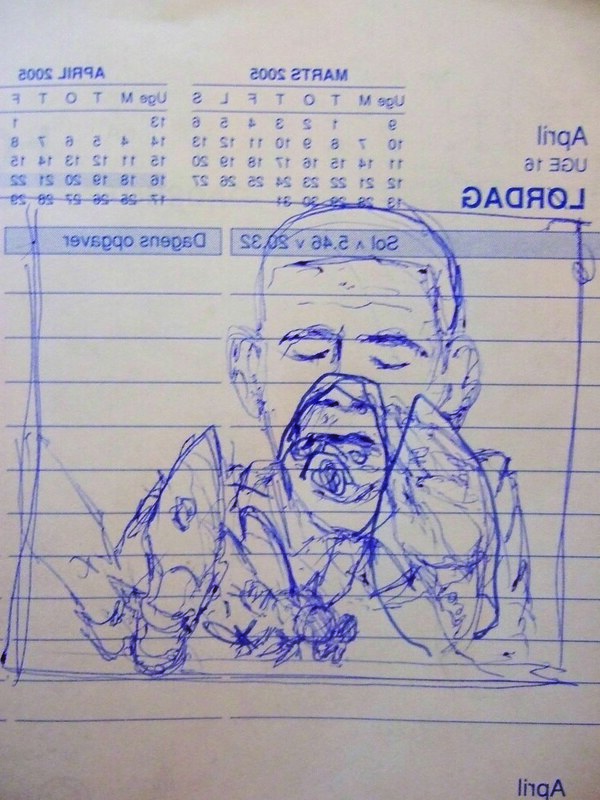 I always doodle on any peace of paper that i can find (c: So after some executive doodling i got this wonderful Idea to depict the famous Obama fly moment,.. I am sure that you know of it.. here take a look at this youtube clip. 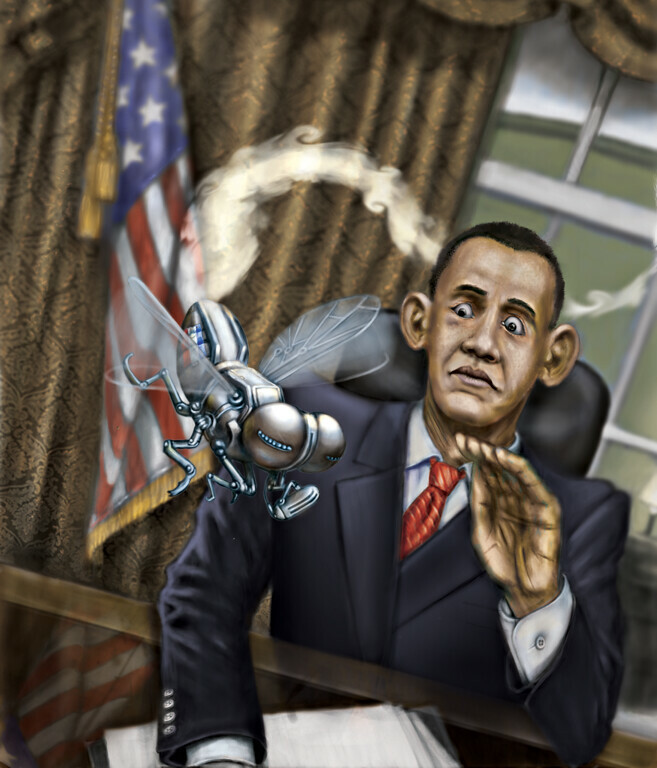 This got me thinking what will a fly be doing in the White house,.. Then it hit me it was Spy Fly,.. no doubt about it. So an idea was forming,.. Her is my doodle stage, scanned from my calendar and a cleanup. 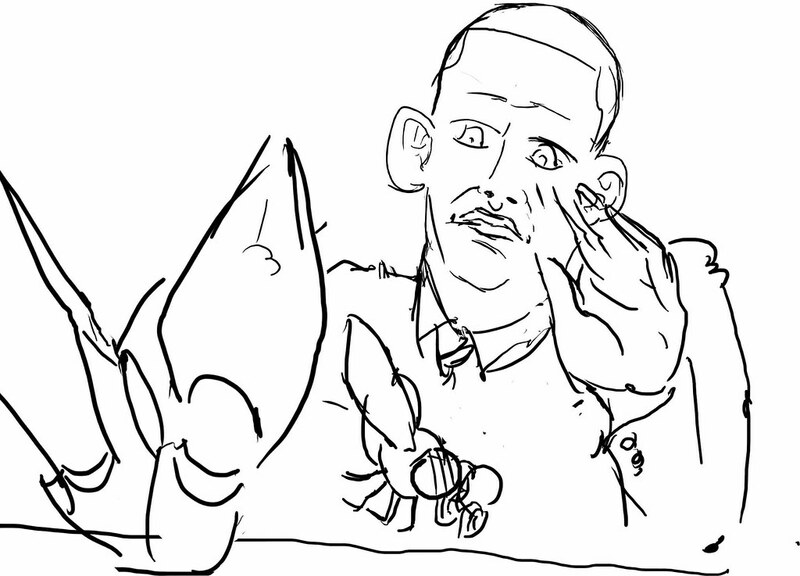 I wanted to make a caricature type of picture because the whole scene is quite absurd. 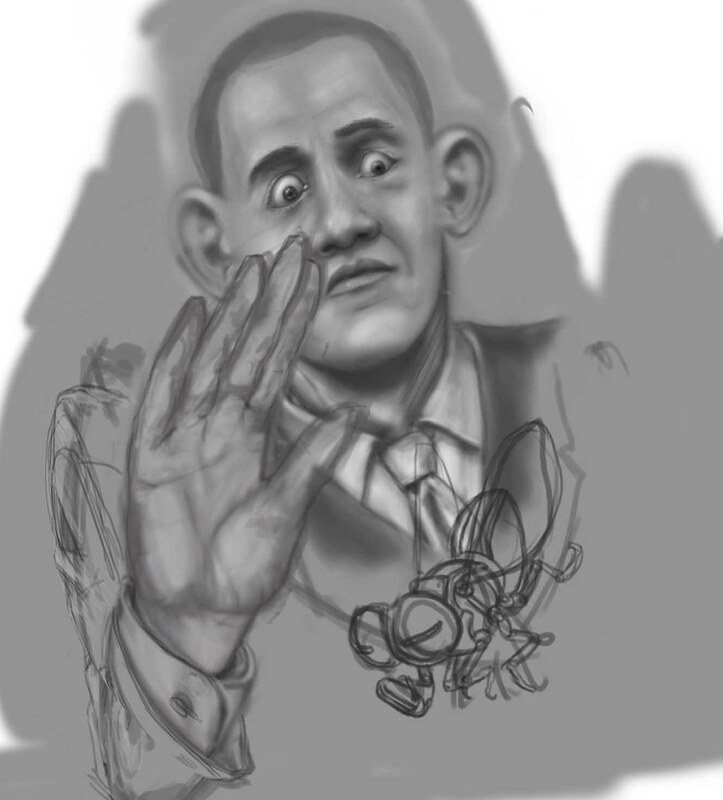 So i started painting Obama in black and white tone, mainly to get the shape and the depth in the picture. 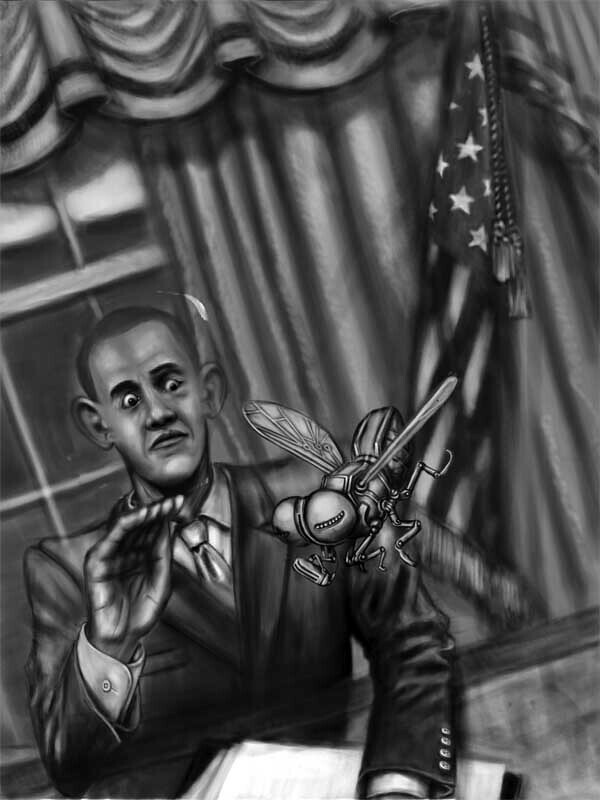 As my picture progressed i wanted to place him in the oval office in front of hes desk. So I went online an found some nice reference pictures of the Oval office. And after I was pleased with the level of detail in the Black and White stage it was time to color it. Here i used Multiply and Color burn for adding darker colors and overlay for adding highlights. I ended up merging all the layers and giving final highlights to give the main features more depth. Here is the finished picture.